The Chinese stock market is closed this week for the Golden Week holiday. 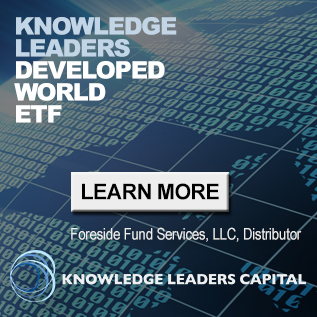 On this side of the Pacific the markets have been busy this week with US Treasury bond yields breaking out and stocks selling off—especially technology—based on the revelation that China implanted devices in technology products shipped to the US. After being closed for five days, there is a lot of potential energy to be released on Monday when Chinese stocks and bonds re-open. The movement of Chinese stocks and bonds has been informative to the general environment for risky assets. 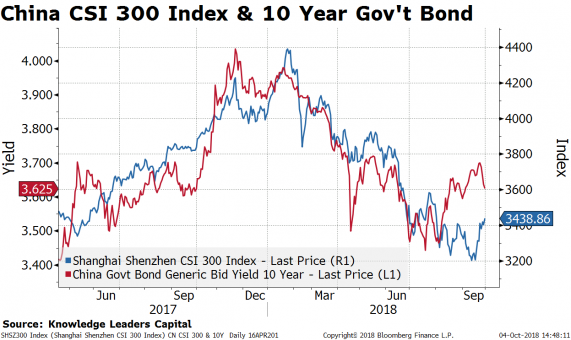 After peaking on January 26, 2018, Chinese stocks have slid about 25% while the yield on 10-year government bonds has tumbled about 40bps. On August 3, Chinese yields bounced and have increased about 16bps while stocks have meandered sideways. If Chinese stocks and yields tumble next week, taking out recent lows, this will be strong information about whether trade-related concerns are moving into a new, worse phase. If the currency follows and takes out new lows also, we would interpret this as a very negative input for global risky assets. I think there are three indicators that are instructive in thinking about which direction Chinese stocks and bonds go next week. 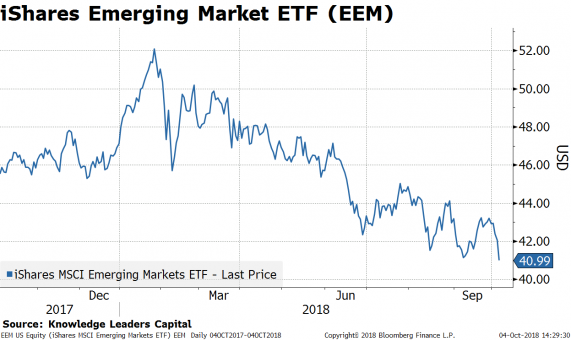 The first is the iShares Emerging Markets ETF (NYSE: EEM). 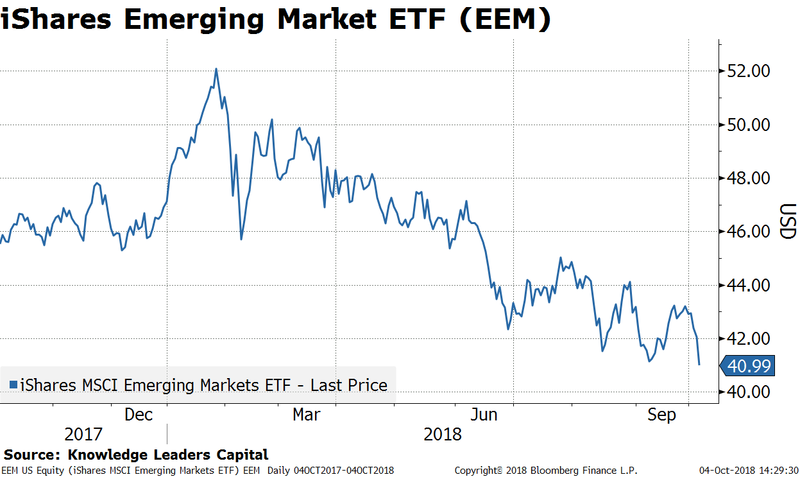 The EEM took out recent support, closing at a new YTD low today. Next, the Australian Dollar is making new YTD lows. Australia is an important part of China’s supply chain, especially for natural resources, and its new low is not a good omen for prospects of Chinese reflation. 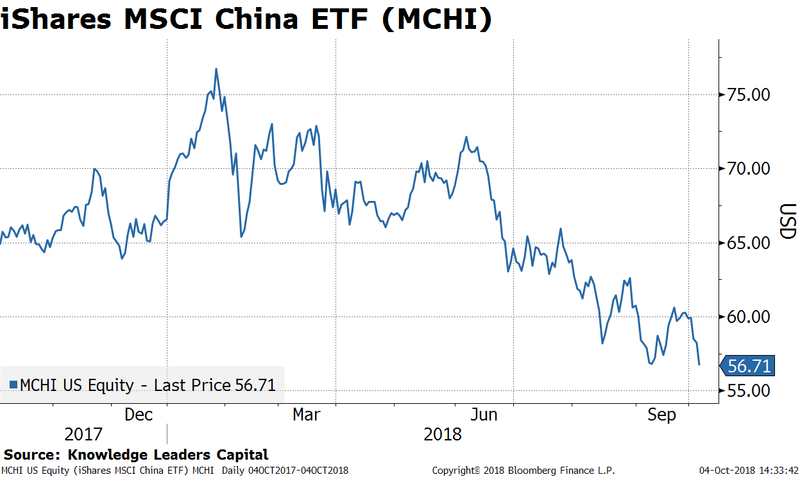 Last, the iShares MSCI China ETF (MCHI) is one of the largest China-focused equity ETFs, and it is trading this week. 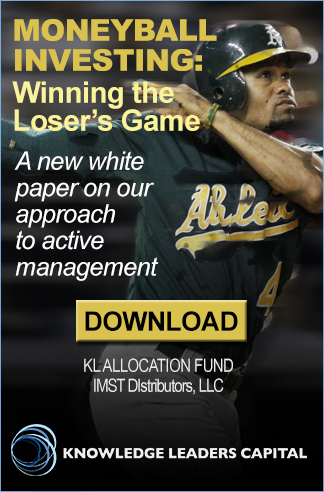 It is trading poorly, also making a new YTD low. 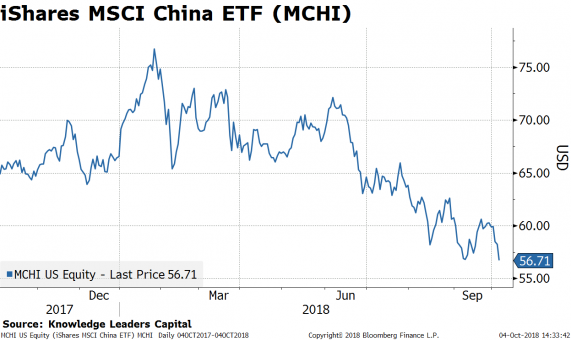 With EM stocks, China ETFs and the AUD making new YTD lows today, I think it is highly likely we see another leg down in Chinese equities next week. If Chinese stocks, bonds and currencies make new lows next week, I would expect cyclical stocks, foreign stocks and commodities to be under pressure. 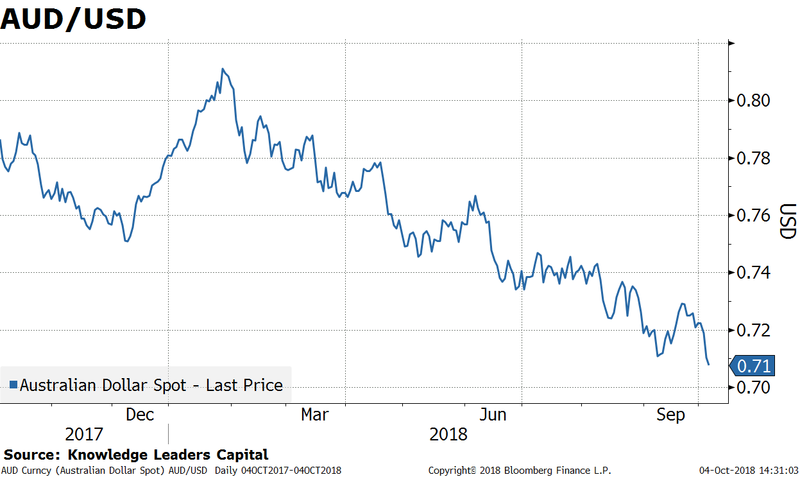 After the huge back-up in US Treasury rates this week, longer duration US bonds may find a bid if we are correct about the direction of Chinese assets and the implications for risky assets in general.